European Union officials are working on re-drafting a sensitive Irish protocol to the draft Brexit treaty with Britain, EU officials have said. The move is part of what EU negotiator Michel Barnier has called efforts to "de-dramatise" the issue and get a deal. 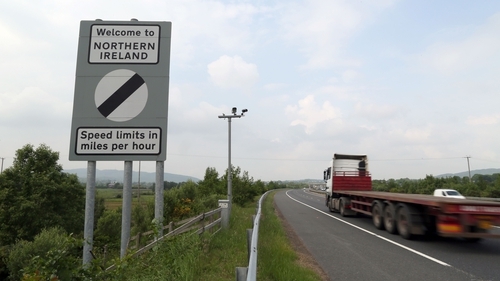 Officials and diplomats close to the negotiations have previously said this month that work was under way to find wording that could ease British fears that the "backstop" to avoid a hard land border for Northern Ireland would pull it away from its constitutional anchor to the United Kingdom. British officials have said their problems with the EU-proposed backstop go beyond language and point out that the DUP will not be easily mollified. "We are willing to look at how we can de-dramatisze the problem," one EU official said. "We are willing to improve (the draft protocol)." Another said work was now fully under way on a new text before Mrs May meets the other EU leaders at a summit in Salzburg next week. However, as Mr Barnier's boss European Commission President Jean-Claude Juncker told the European Parliament earlier today, the EU is not willing to go along with British proposals that it believes would give UK business a free-ride back-door entry to the EU single market or to let Ireland suffer as a result of Brexit. At the same time, Mr Juncker stressed, the EU was looking to forge a very close partnership with Britain.